She had been trapped in the elevator for about a month. CNN says a maintenance crew inspected a broken elevator in the Chinese city of Xi'an on January 30. The elevator had stopped between the 10th and 11th floors. Workers shouted to see if anyone was inside, and did not hear an answer. They turned off the power and left the building. Workers found the woman's body on March 1, after they returned from the Lunar New Year holiday. The woman, who lived in the building, could have been in the elevator for up to 30 days. The woman's neighbors said that the woman lived alone. Local police arrested two suspects in their investigation. They said they were investigating the companies responsible for the elevator maintenance. Chinese web users posted angry responses on social media. They criticized relationships in modern Chinese society. "I thought such things would only take place in the wild. But actually the crowded cities are nothing but just a forest of steel – we are surrounded by so many people and have so many 'good friends' in (online) chat groups but there are few that really have anything to do with you." 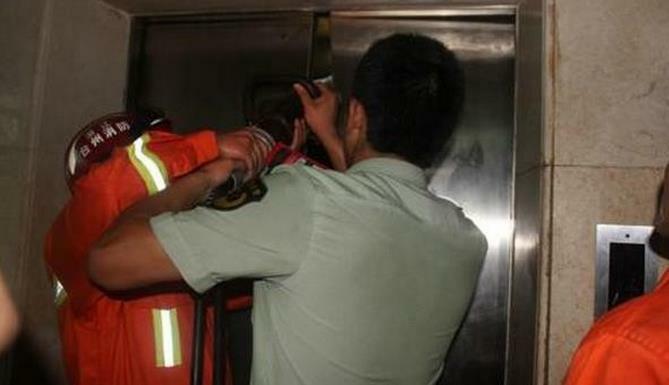 Chinese media criticized negligence in China's elevator maintenance industry. Media also criticized property management companies. China has had problems with similar accidents in the past. Last July, a woman died after she fell through flooring in a Chinese department store. There was a power cut and all the lights went out. I have a horror of being trapped in a broken lift. The maintenance supervisor would dispatch a crew to repair the damage. Earthquakes take place far underground. 1.They turned off the power and left the building. Be sure to turn off the lights before you leave. 2.They said they were investigating the companies responsible for the elevator maintenance. He denied that he was responsible for the accident. She was responsible for buying the properties for the television series.